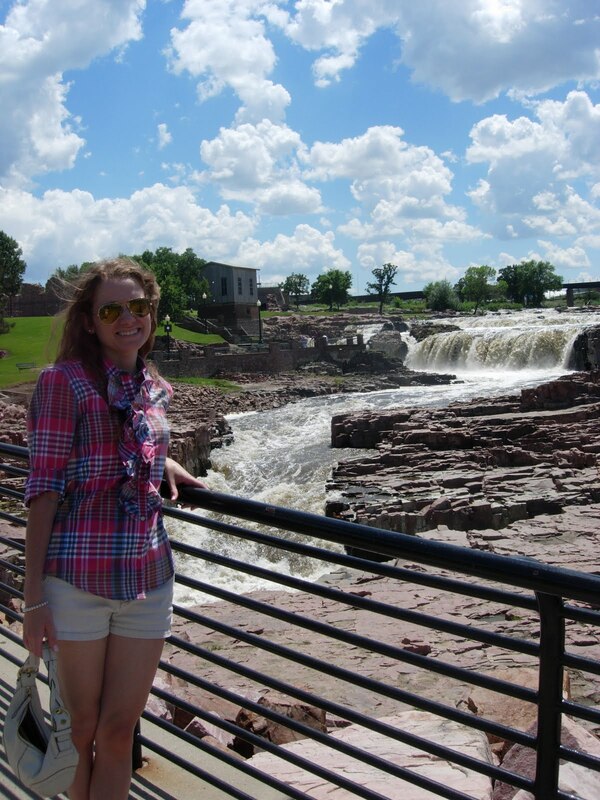 When I was in Sioux Falls, SD, this past weekend for a wedding, the boy took me to some of the major attractions of the city. 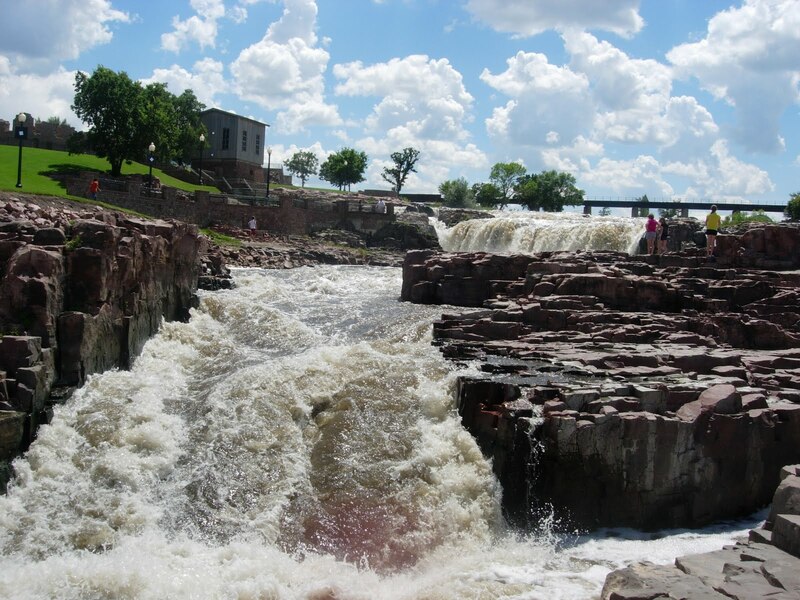 First up, and probably the one thing you want to make sure you see if you are visiting, is the 14,000-year old Sioux Falls. 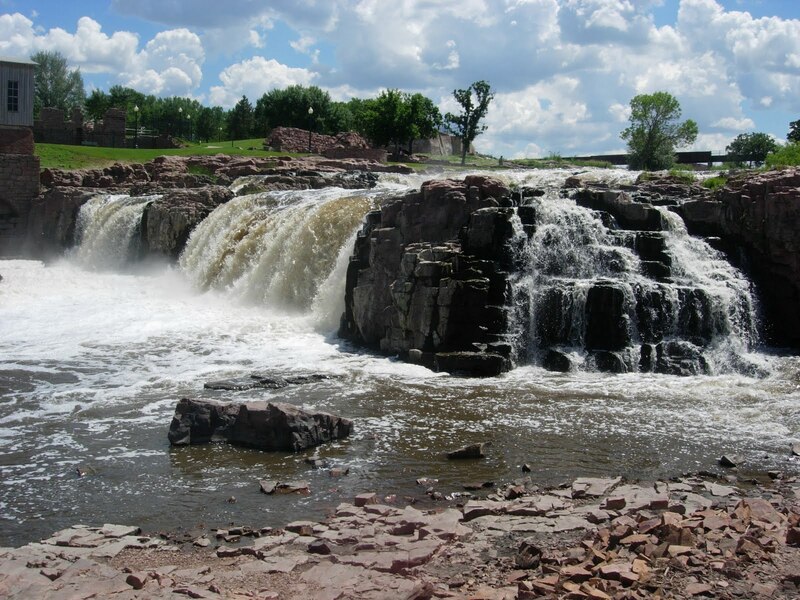 According to siouxfalls.org, a prehistoric people left numerous burial grounds on the high bluffs near the river. 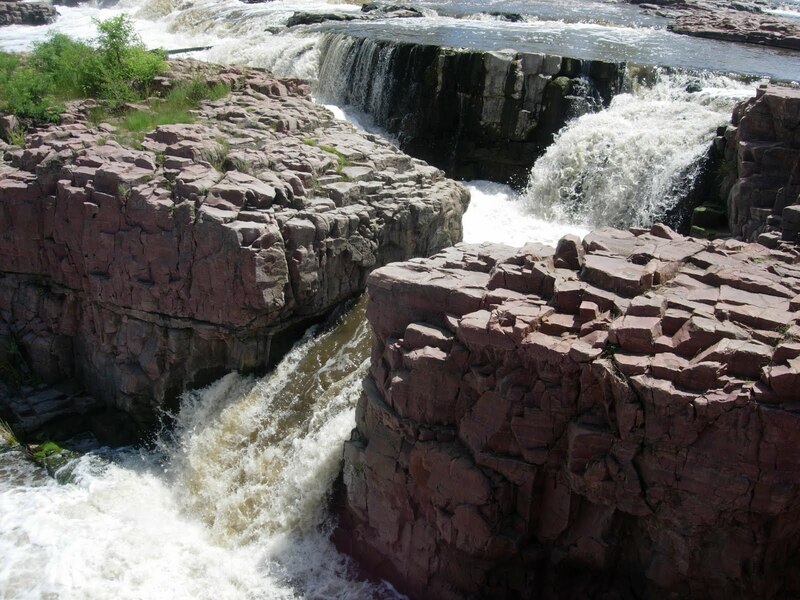 The pink stone of the falls is called quartzite bedrock. 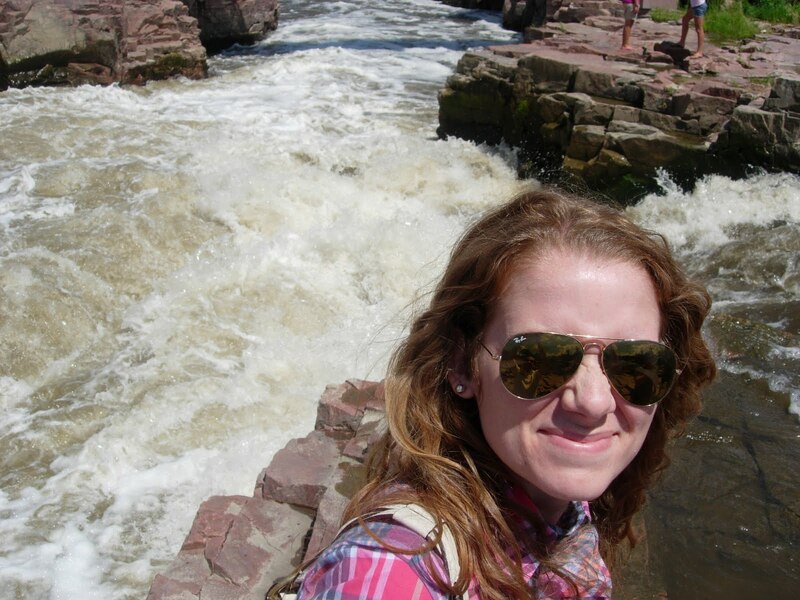 For a dollar at the gift shop, you can own a piece of Sioux Falls quartzite. Look at that water power. Oh yeah! We did more sightseeing, including a walking tour of a historic neighborhood with homes dating back to the 1900s, but I could not find any photos online. I didn’t want to take any photos because people still live in these houses. If you are interested, the architectural styles include Queen Anne and Italianate and many of the house have the original curved glass windows still in tact. The houses are absolutely gorgeous. 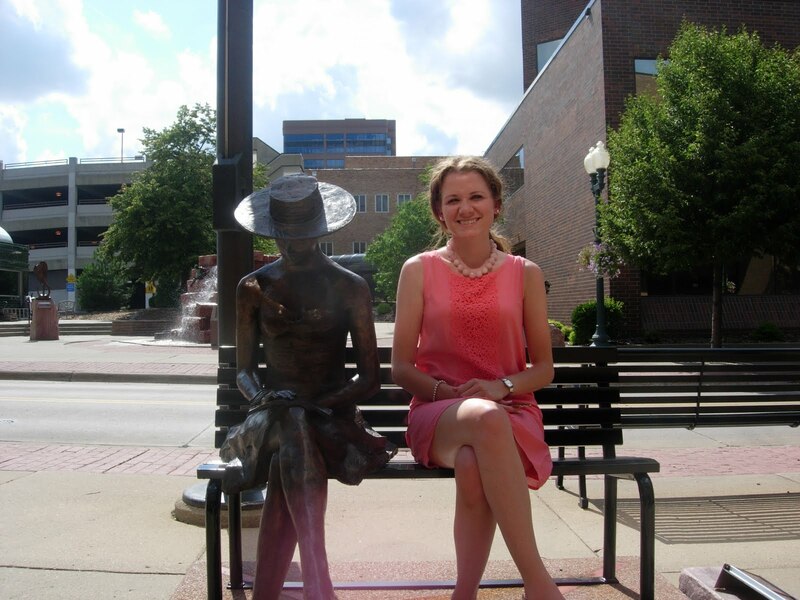 Lastly we went on the Sculpture Walk, which consists of sculptures done by different artists of different styles scattered throughout the downtown area. This was one, titled, Lazy Days by Kate Denton, England, was one of my favorites. There are probably many more sights to see and places to encounter, but working around a fun-filled weekend of wedding activities was a bit challenging. I know on good authority that the pawn shops and antique stores are really fun to visit. That is, after all, where my beau bought me my South Dakota Black Hills gold ring. my first pen pal was fr there! i've only been once.